Commercial Liability Insurance is a type of coverage, which protects businesses in cases where people make claims against them for property damage, bodily injury, and advertising and personal injury to their reputation due to slander and false advertising. Commercial Liability Insurance coverage is used to pay people that sustain bodily injury or damage to property, which occurs on a company’s premises or due to their business operations. Product or completed operations coverage is designed to pay for the expenses the business incurs when bodily injury or property damage for which it is responsible occurs away from the primary site of the business but is caused by the company’s products or their completed work. 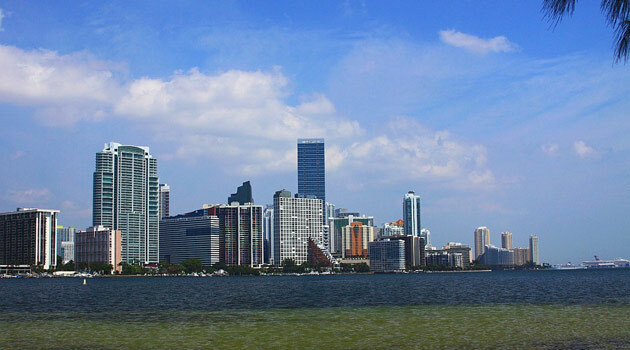 Why is Commercial Liability Insurance Important in Miami? Get a quote by contacting All Nation Insurance at 1 (305) 220-0900. While the coverage provided by these types of commercial liability insurance policies are fairly comprehensive, there are some types of injuries and damages which are not covered or not completely covered. One such example is the Pollution Exclusion. These exclusions state the policy will not cover a third party’s injuries or damages which are caused dispersal, escape, migration, release, or seepage of gaseous, liquid, solid, or thermal pollutants. This includes acid, chemicals, fumes, smoke, vapor, and other types of dangerous waste products. Do you need Commercial Liability Insurance in Miami, Florida? Depending on the nature of your business, commercial liability insurance may be required for you to obtain your business license. However, if it is not required, it is definitely recommended. America is a very litigious society. People are quick to bring law suits against companies they feel have wronged them in some way. They see companies as easy targets and have no problem finding attorneys that are willing to litigate their cases if they feel there is a chance the client may collect a significant personal injury or property damage settlement. While those lawsuits may simply be a ploy by an individual and their attorney to get money, the damage they can do to a company that is not properly insured is sometimes irreparable. History is littered with examples of companies that were not properly insured and had to shutter their doors and go out of business when hit with a lawsuit. With the influx of immigrants speaking a wide range of languages coming into Miami and South Florida at an all time high, the potential for misunderstandings and accidents on job sites is soaring. It would be unwise for a growing business not to protect their assets by purchasing commercial liability insurance. All it takes is one misstep, mistake, or product malfunction to trigger an expensive lawsuit. True, small to medium-sized businesses cannot protect themselves from everything that could potentially happen. In Miami, Florida hurricane force winds and torrential rain can knock over signs, shatter glass, or make the sidewalk outside your business slippery and dangerous and lead to personal injury and property damage lawsuits. Still, the responsible thing for business owners to do is try to find the most comprehensive commercial liability insurance they can afford. The smart move is to be proactive. Don’t delay taking action and have an unfortunate accident happens then lament the fact your business was not adequately insured. At that point claimants may be looking for ways to hold you personally liable and go after your personal assets. Talk with more experienced business owners you know and respect and ask them about the importance of commercial liability insurance. They may be able to give you some insight about steps you can take to ensure your company is adequately insured. Having commercial liability insurance is a must for any serious business owner. Don’t leave the survival of your company to chance. Speak with other business owners, scour the internet, listen to and follow up on references from family and friends, and do whatever’s necessary for you to find the right insurance agent or company for your business. Sit down with them and tell them your concerns. Also make them aware of your insurance needs. With a little work you’ll be able to find an insurance agent and a company that can provide you with comprehensive commercial liability insurance at a price you can afford. Creating and growing your own business is an important part of the American Dream. However, one of the responsibilities of owning and growing your business is making sure your employees, equipment, and other assets are properly insured.